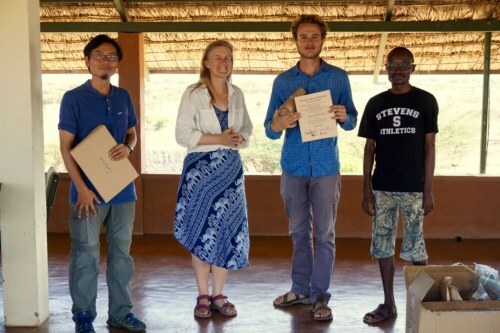 The Field School’s Final Weeks: Archaeology, Goat Butchery and Graduation! 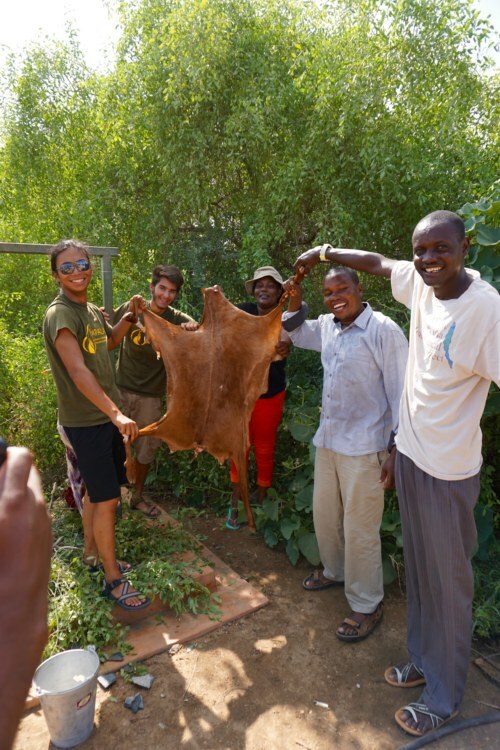 Home|The Field School’s Final Weeks: Archaeology, Goat Butchery and Graduation! 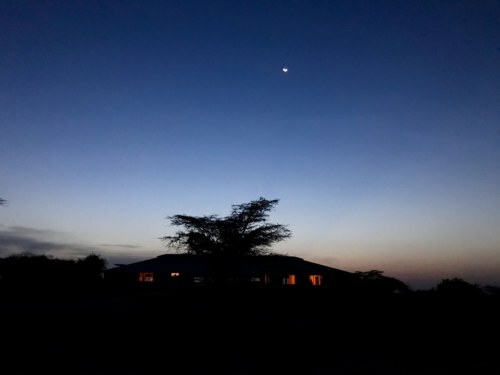 The students were very busy in our last two weeks in Kenya. 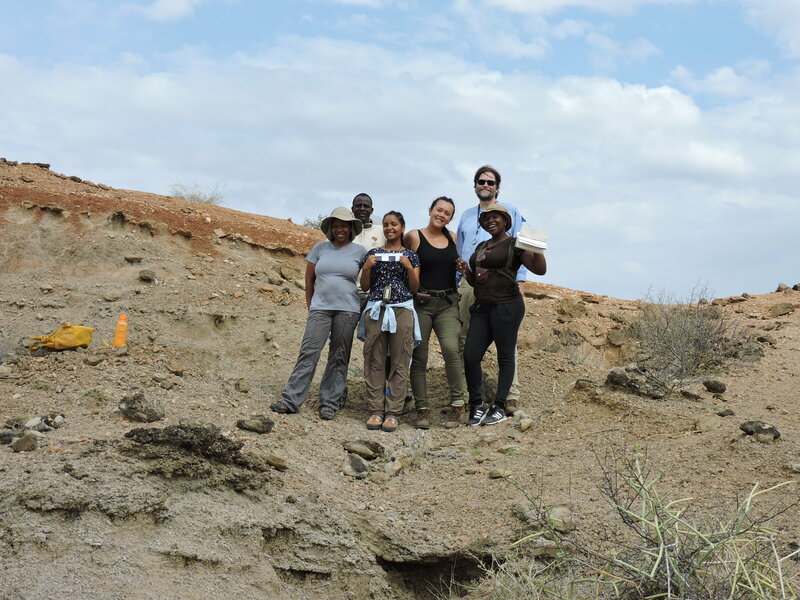 The Archaeology module took us to many sites around Turkana where there have been important paleontological and archaeological finds or where there is exciting current research. 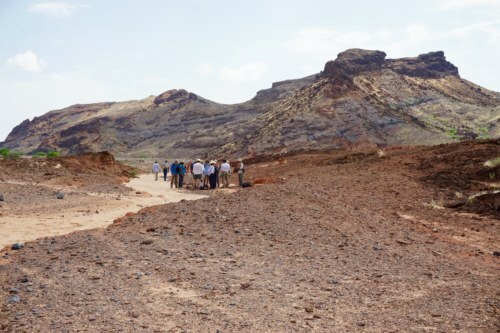 The students walked the Turkana outcrops in search of bones, stone tools and pottery. 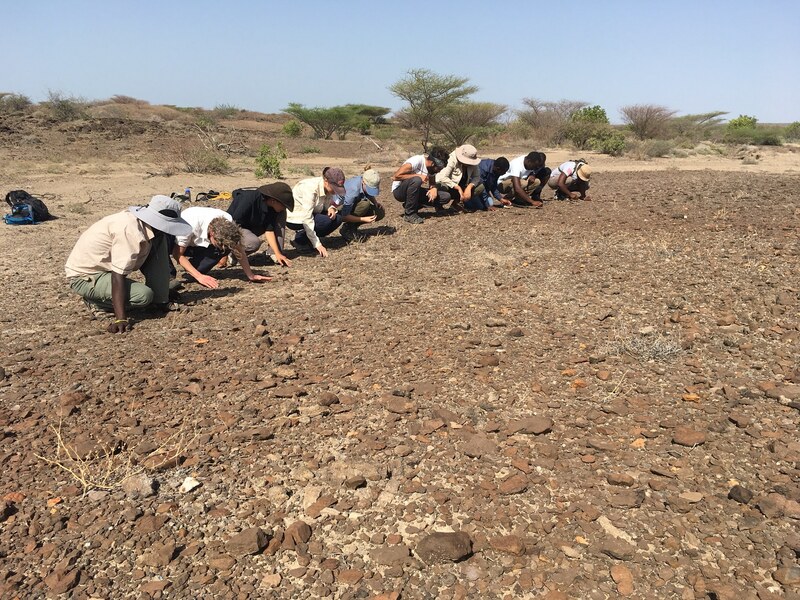 Through their studies in the field school courses the students have become adept at identifying stone tools in the field and were able to go on many hikes throughout the last two weeks, surveying for evidence of tools and analyzing their complexity and context. 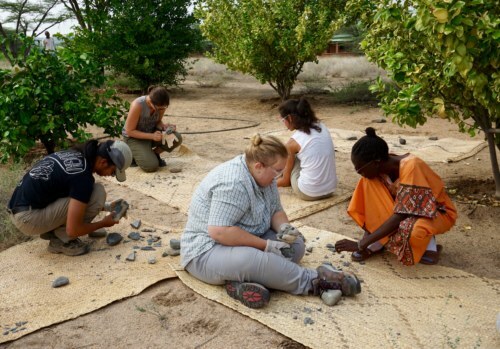 You may have read our previous post about the stone-tool knapping lesson we had with Professor Hildebrand, in which the students took “raw material,” a large block of stone, and tried to form their own stone tool shards and blades. 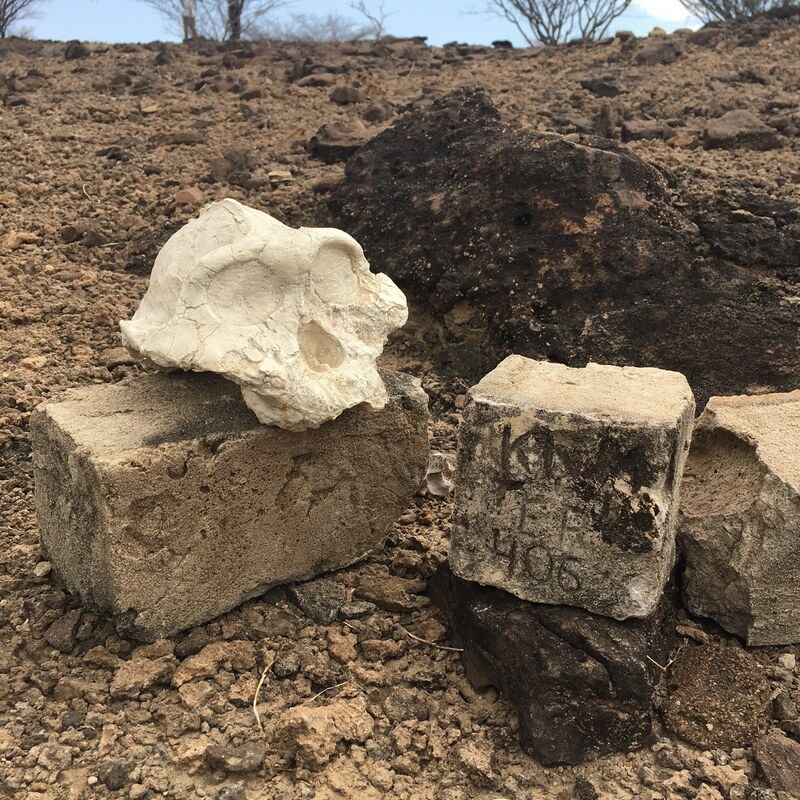 The type of raw material rock that’s chosen is a very important factor, it ensures that the stone flakes off in a controlled pattern and even has the potential to form flakes. The students had been anticipating this exercise for a long time and had fun making their own tools, learning a lot about the control, materials and knowledge it takes to produce a usable product. 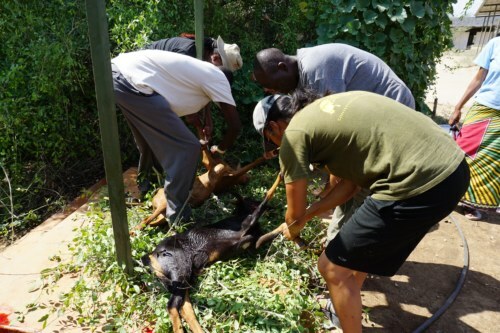 We saved their tools and at the end of this final course a few brave volunteers were able to use those same tools to completely skin and butcher a goat. 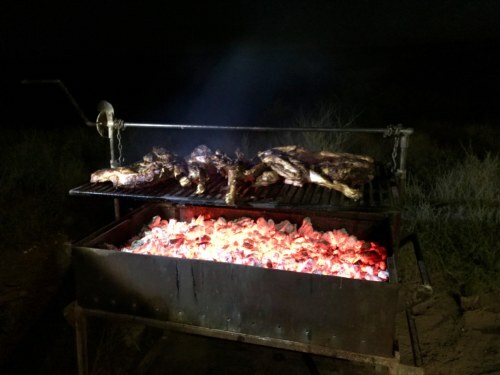 It’s traditional at TBI to celebrate the end of term with a goat roast during which the students participate in the butchery process using the stone tools they created earlier in the course. 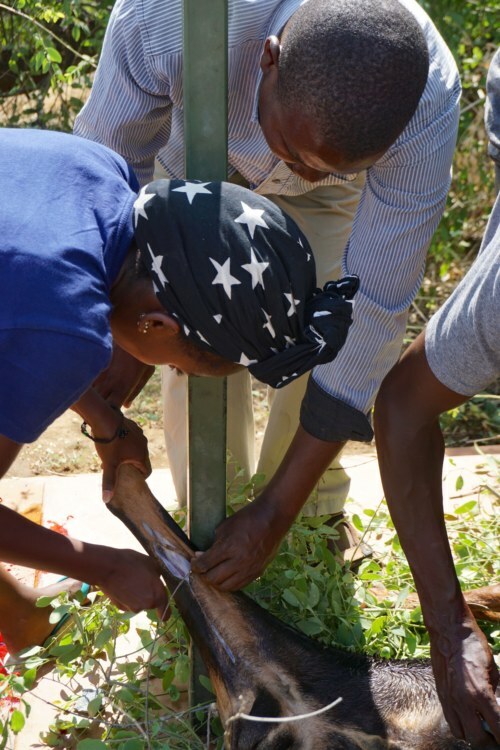 This process intends to give the students an appreciation for the skill, time and hard work our human ancestors had to employ to obtain and process meat as a food source. 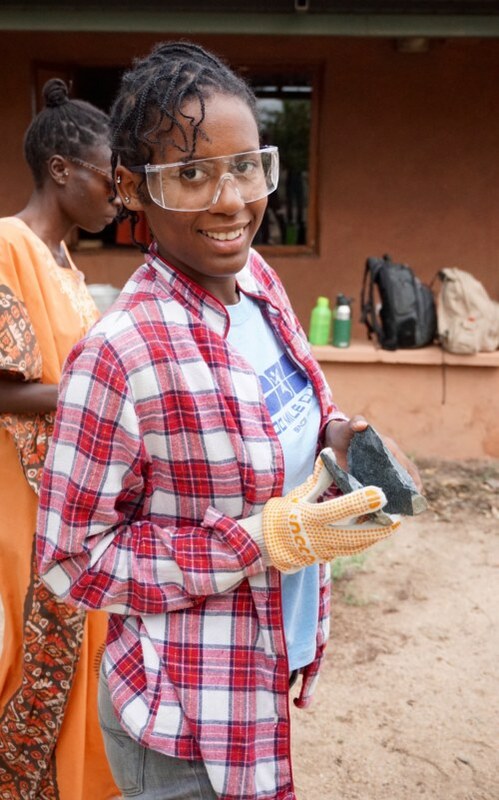 Many of the students were surprised at just how well the tools they made worked! 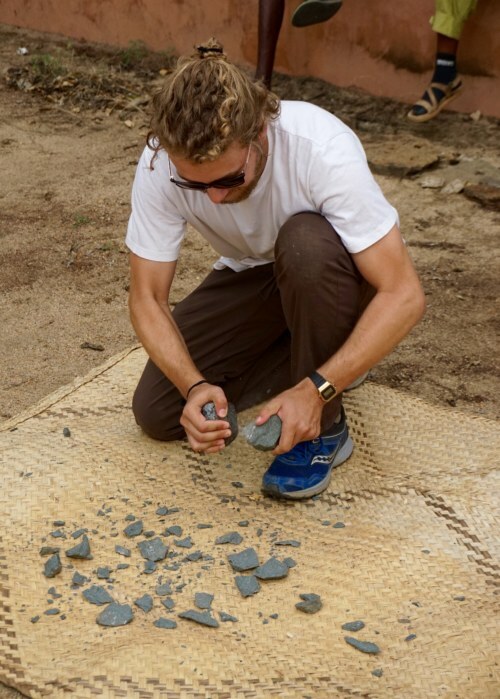 Stone tools are incredibly sharp and with just a few of the flakes they made, the crew was able to easily butcher two adult goats. 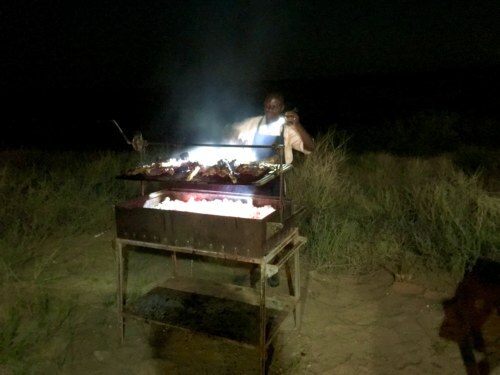 Later that night, after our graduation ceremony and a celebratory soccer game, the students enjoyed their well-earned goat feast under the stars. 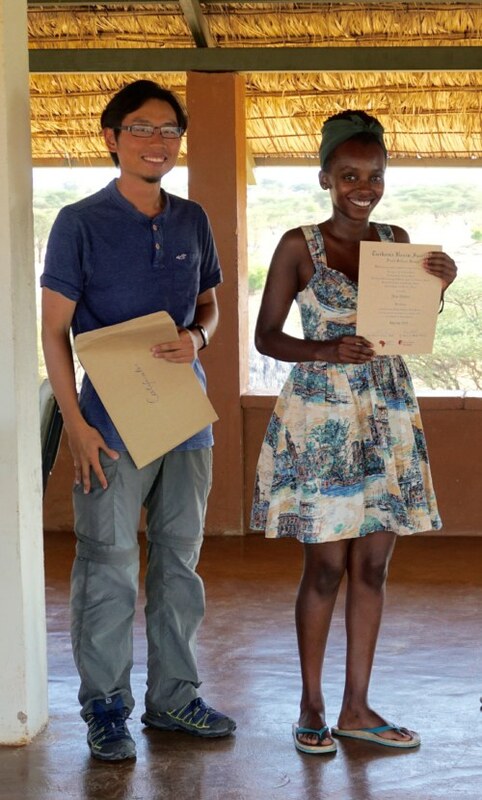 Our graduation ceremony was held on the roof-top terrace of TBI that over looks the beautiful acacia-covered landscape of Turkana and the Turkwel river. 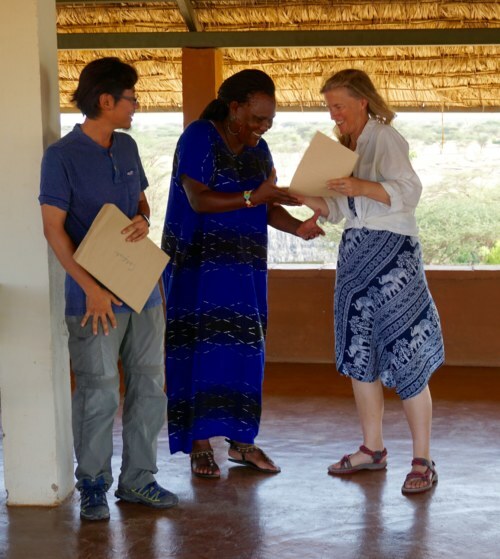 Our field school director Deming Yang and Dr. Marta Mirazon Lahr, of Cambridge University, and a long time researcher at TBI, both gave speeches congratulating the students on their accomplishment. They also thanked the wonderful Kenyan TBI staff for all that they’ve done for us in the last 10-weeks. 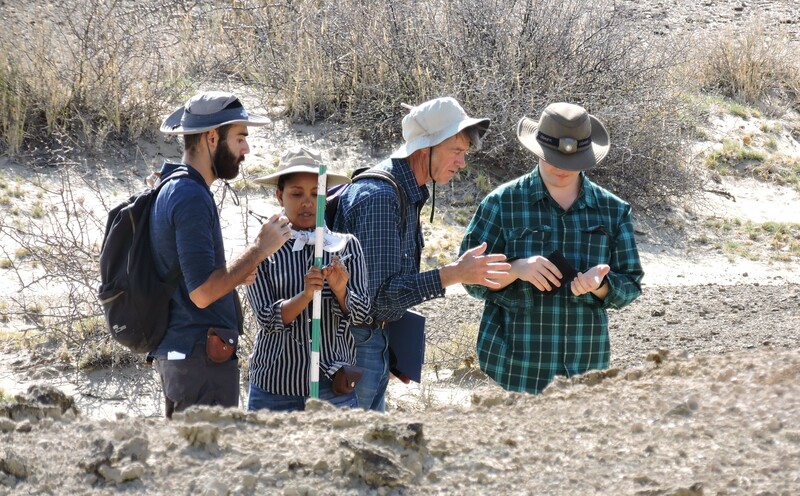 This field school was filled with incredible, hard working students, and we can’t wait to see what work they do in the future! 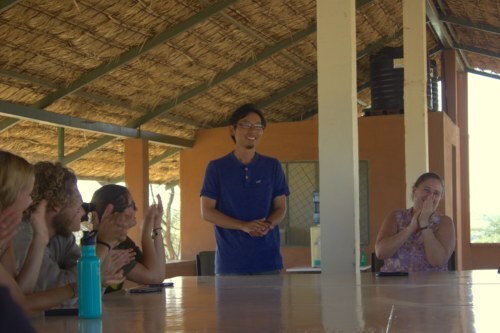 Resident Director Deming Yang and Dr. Marta Mirazon Lahr. 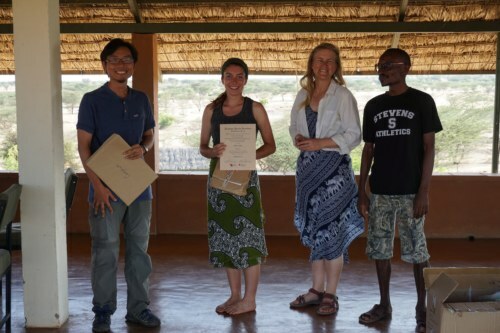 Pauline receiving her TBI diploma. 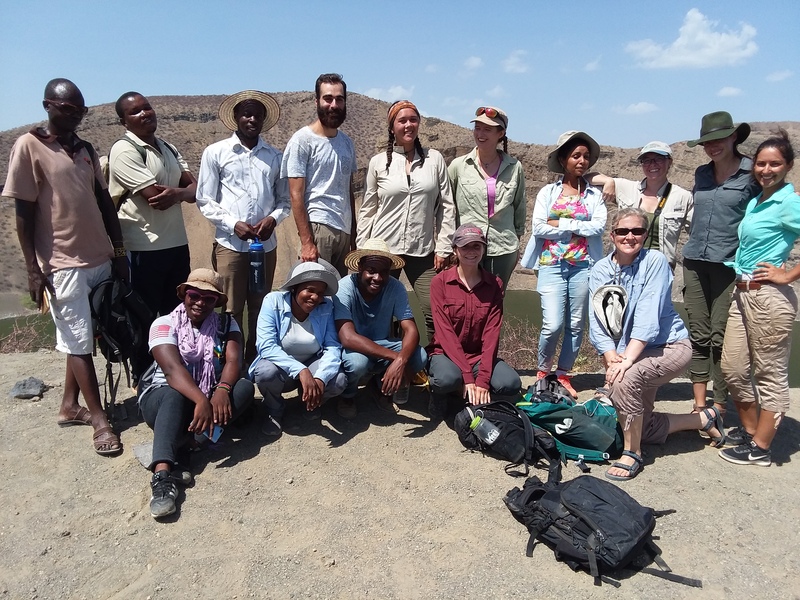 And that brings the Spring 2018 Field School to a close! 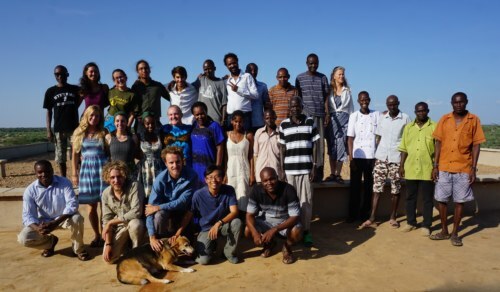 We were lucky to have a great group of students on this trip, eager to learn and explore Kenya. We hope they had a good adventure, learned a lot and made some lifelong memories! 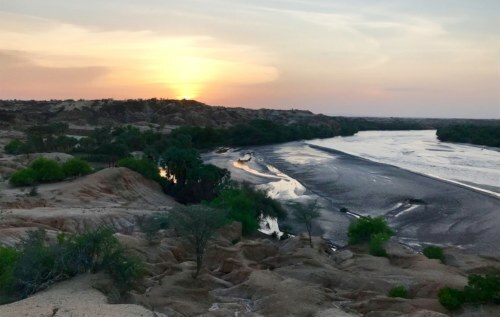 Thanks for following their story! 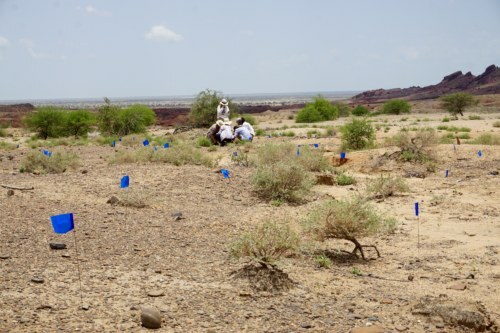 By Rosie Bryson|2018-04-25T16:23:02-07:00April 25th, 2018|Field Schools, Origins Field School, Spring 2018|Comments Off on The Field School’s Final Weeks: Archaeology, Goat Butchery and Graduation!